I'm quite new to Pinterest, I've only had an account for a month or two max and I first stumbled upon it last year when doing social media research for my dissertation. I'm starting to catch the bug, I firstly started to create public boards that were just a collection of other pins people had pinned or re-pinned. I collected ideas for new craft projects, for my garden and for the re-decorating of my bathroom, clothes and whatever else I saw, loved and needed to pin somewhere. Then I read the tip to pin images from your blog and insert your blog address to direct traffic to your blog. Just as well I always try to ensure my photos are visually appealing, love a bit of instagramming!! So I've created a new board of blog photos and we will see what happens. 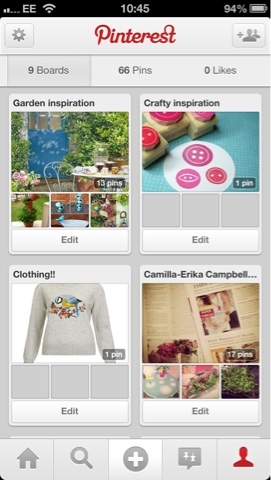 There are some lovely photos on Pinterest making it so hard to stop pinning once you start! It's a great place for gathering inspiration. But that is about as far as my Pinterest knowledge goes. 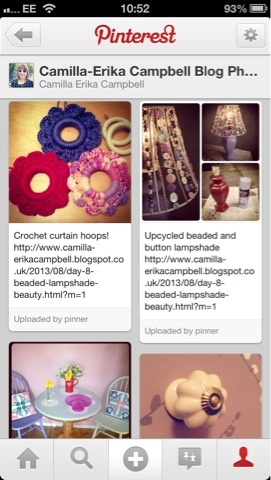 Do you have any Pinterest top tips for me??? I am afraid I dont make good use of pinterest for Marketing. I have lots of Boards, filled with foods and recipes. I started a board with my blog links but never continued. Perhaps one day when I have more time.